Here’s the thing with writing a site such as the San Carlos Blog, you have to write the good and the bad with our local real estate market and community. I generally try to be as positive as possible with the posts on this site, but sometimes being direct is the best possible route to deliver sobering news. Before getting into any discussion over a flaw in the San Carlos market, it needs to be understood that the San Carlos market is red hot right now, and really has been for the past twelve months. We have seen over 21% appreciation in most price ranges and we have long passed the previous highs in San Carlos from 2008. The market is still completely out of balance when looking at the number of buyers versus active properties. All signs continue to point to a very healthy market for the foreseeable future. Although, the days of double digit appreciation in a year are gone for San Carlos, at least in my eyes. Given the current state of our market, it is tough to say that it has a “fatal” flaw, so let me set the framework for that belief. Starting last March there was quite a bit of talk, not only among realtors, but among San Carlos residents as well, that San Carlos was going to catch towns such as Menlo Park and Burlingame. At first glance, San Carlos appears to have all of the same intangibles that Menlo Park and Burlingame have: excellent schools, attractive downtowns, mid-peninsula location and a village-feel. Prior to 2012, Burlingame and Menlo Park sold at about 21% and 20%, respectively more than San Carlos. In 2013, San Carlos chipped away at those percentages and started to attract attention not only from buyers searching in San Carlos, but in Menlo Park and Burlingame as well. For some of you this is not going to be much of a newsflash, but for others it may be a bit direct: San Carlos is never going to sell on the same level as either of those towns. In fact, it will never even be close. The reason: we simply do not have enough of a high-end market. That is the “fatal” flaw in keeping San Carlos from chasing down the other top-producing towns. Now, when I say “fatal” flaw I mean it only in reference to property values. There are countless people who live in San Carlos who could easily live in more expensive peninsula towns, but choose San Carlos because it is a bit understated when compared against the others, and they enjoy that aspect of it. The absence of a true higher-end market is the clear Achilles heel of San Carlos real estate. The largest concentration of higher-end homes in San Carlos can be found in the Alder Manor area of San Carlos. The irony with Alder Manor having the highest concentration of higher-end homes is that Alder Manor is the one area of San Carlos that is not assigned to San Carlos schools, which is the number one reason for most buyers initially moving to San Carlos. The higher-end market for San Carlos is roughly $2M-$3M. We really do not see much go beyond the $3M mark. Why Does San Carlos Not Have A Larger High-End Market? The absence of a viable high-end market in San Carlos is largely attributable to two factors: (1) San Carlos is not a large town to begin with; and (2) the vast majority of the lots in town are small. Many of the larger estates and planned lots were sliced into halves and thirds during many of the failed attempts to first put San Carlos on the map with development. Smaller lots were an easier sell. The original plan for San Carlos under its initial developers was to have the lot sizes of Hillsborough and the Burlingame hills. Those attempts all failed for a variety of reasons and it wasn’t until Fred Drake came to town and realized that San Carlos was not going to be a Burlingame or Hillsborough and decided to downsize the lots and get development moving in a sustainable direction. 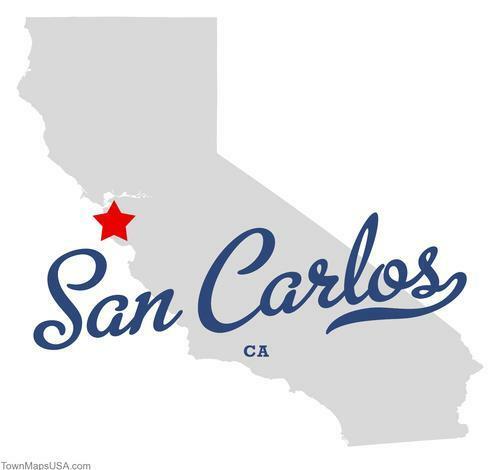 So, just by the physical characteristics of the vast majority of its lot sizes, San Carlos started with a strike against it from the very beginning. The reality is that you are going to start to see folks searching for that higher-end market leave San Carlos. The inventory of available higher-end homes is simply not meeting the current demand. This group of buyers has been growing noticeably since the fall of 2012. If I had to pick one thing that has surprised me most with San Carlos, it is the amount of wealth that is in the town. I think most residents do not fully understand just how much money is in San Carlos. Additionally, the one thing that has always impressed me with San Carlos is that the previous sentence is a surprise to most people. It says a lot about San Carlos. I am fully aware of how completely ridiculous this post may sound to the rest of the country where they are still trying to climb out of massive housing collapse. 99% of the rest of the country is still worrying about the economy, foreclosures and short sales, and we are worried about not having much inventory around $3,000,000….not exactly a “fatal” flaw. To me though the “fatality” is just the average selling price stat, right? What matters to me and others not in $3M+ homes is that our “ordinary” $1M+ or so homes continue to be attractive vs. comparables in other nearby towns. If there aren’t high-end houses to push up the average then so what? You could even make the claim that high-end homes are a liability in regards to ASP as they are far more mercurial and likely to amplify a panic signal from price declines. To me the fatal flaw is lack of a high school; I think that alone makes San Carlos a non-comparison to, say, Palo Alto, though I have heard the trend at Sequoia might be positive. Thanks for the post. I understand your points and they make sense to me. One thing to keep in mind is the reason your average 3/2 in Menlo Park, for example is 20% higher than in SC, is because there is a higher end market to help pull the values up. If San Carlos did have a 3M plus market, the value of your home and all others would be pulled up. Even with a stellar public high school, San Carlos would still not be in the same league as Palo Alto in terms of property values. Thanks again for the post. another factor might be the weather.. was up at highlands park at noon today..it was “misting”.. not sure about burl. but I know the weather in MP is way better than SC.